Danse Club Records look to the release of the second in their ‘Gold Series’ releases this time featuring 1995 US house track from Michael Whitehead given the 2012 remix treatment from Willie Graff & Tuccillo, Florian Kruse & Max Jacobson. The first in the series saw Cherie Lee’s ‘Love Me Or Leave Me’ revamped and led to support from the likes of Dusky, Waifs & Strays, Ethyl and Ugly Drums. Now the Danse Club label is looking to its next release this time featuring the 1995 US east coast track ‘Under My Spell’ by Michael Whitehead. Whitehead was the vocal front for a production team of Frank Gonzalez, Mitchell Dupre and Oscar G from MURK. This new package kicks off with a remix from production heavyweights Willie Graff & Tuccillo, who between them have recorded for labels such as Wave, Defected, Freerange, Circus Company & 2020 Vision. 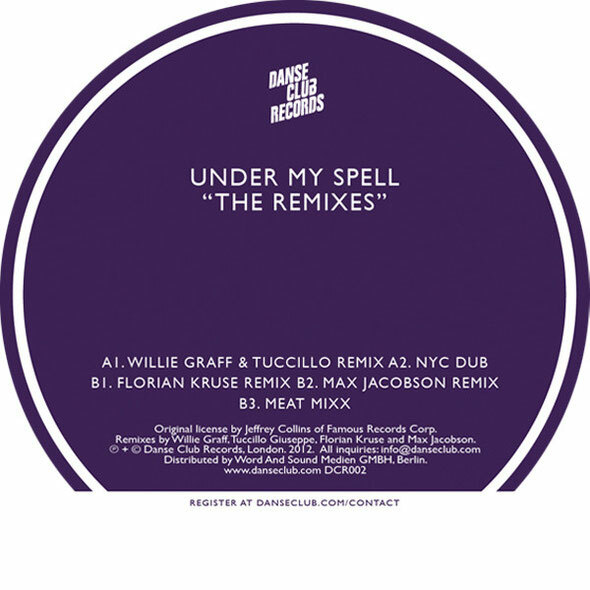 Their mix of ‘Under My Spell’ is a bubblin’ slice of underground house that sees edited vocal and keyboard parts from the original wrapped around a warped B-line. Next up is the original ‘NYC Underground dub’, showcasing the original production with style with its shuffling US drum programming and warm piano chords. The next of the remixes sees Hamburg’s Florian Kruse take the reins and deliver a spacious yet dancefloor friendly mix that combines Whitehead’s soulful vocals with a classic ‘90s percussive organ riff. Max Jacobson weighs in next turning in a deep and atmospheric mix that proves the old age that sometime “less is more”. Finally, there’s another cut from the original 1995 release in the shape of the ‘Meat Mixx’, a tough and raw house workout. Out January 14.